Our Bountiful Museum has some exciting events happening this year and we invite everyone to come our Open House, Saturday July 20, 2019, 9:00 am to 4:00 pm and enjoy a tour of our museum and learn of the history of Bountiful. 305 North Main. 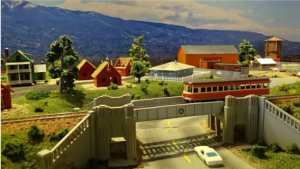 Bamberger Tours: This is the “Year of the Train” in the State of Utah and we invite everyone to come to our museum and see our model train exhibit of the Bamberger train running through Bountiful during the 1935-40 time period and ending at the Lagoon Resort in Farmington. We will have special events during our Open House Saturday July 20, 2019 from 9:00 am to 4:00 pm. Bring the whole family, you don’t want to miss this. Bus Tours (air conditioned), of historical sites in Bountiful will be Saturday July 20, 2019 starting at 9:00 am through 1:00 pm leaving from our museum at 305 North Main. We will visit over 30 sites in one hour and each tour begins on the hour at 9, 10, 11, 12, and the last one at 1pm. All ages are invited with handicapped accessibility. Bountiful Historical Tabernacle Tours will also be held on Saturday July 20, 2019 at the Tabernacle starting at 9:00 am and going each hour until 1:00 pm. Come visit the oldest chapel in the Church of Jesus Christ of Latter-day Saints dedicated in 1863. We will have videos, organ recital, and tours of pioneer workmanship in the beautiful Chapel.